As you look to reach, retain and upskill your on-the-go and lowest-skilled workers, there are a handful of mobile solutions to evaluate in the ed tech space. 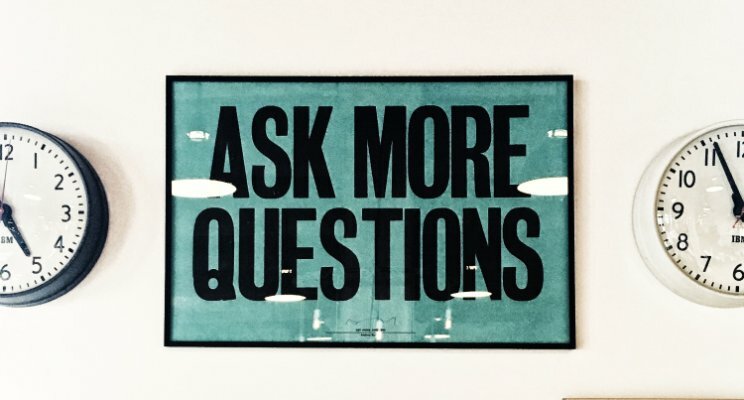 Luckily, this is a fairly straightforward exercise but with one caveat: along with asking companies your standard questions (e.g., track record, costs) about their solutions, you ask the not-so-obvious ones. 1. Does the company’s mobile training solution require a smartphone, the internet and data to use? The overwhelming majority of solutions you’re assessing are built for smartphones and internet usage – as they should be. But just as important is whether a solution can also work with basic phones and not be internet or data dependent. Why? Because many of your frontline workforce likely use basic phones. And of those who do have smartphones, they don’t always have access to the internet. In fact, 51% of Cell-Ed users in the U.S. who are low-skilled workers don’t have a smartphone or consistent internet access. This is a telling indicator that a solution you choose may only reach half of your workers if smartphones and internet are required. Add to this, your smartphone-carrying, budget-conscious workers who are watching their data usage, which can get expensive, and even more workers are unlikely to engage with any of your training content. By placing this question on your checklist, you’re ensuring you don’t select a solution that most of your workforce can’t or won’t use. Instead, search for solutions that meet all of your workers where they are, which often means offline and on basic phones. 2. Is the company you’re evaluating solely focused on working adults? Or are their adult-focused solutions just an offshoot of their primary K-12 or higher ed products? To state the obvious, your low-skilled workers are not a group of 11-year olds or college kids. Your workers differ drastically in terms of the job-ready skills they need to acquire, as well as how they learn, what engages them and what impedes their success. When companies simply tweak their solutions to working adults – instead of investing the significant resources necessary to design for an entirely different audience who are often less skilled than the material assumes – there can be a number of downsides. Chief among them is alienating your workers by employing everything from irrelevant scenarios that aren’t job focused to a cringe-worthy, condescending tone to material that misses the mark because it claims to be for low-skilled workers when it’s actually geared toward the semi skilled. These solutions simply weren’t built from the ground up to meet the unique needs of time-strapped adults. No wonder workers don’t often connect with – and complete – such learning and training. A bust for everyone. Are their content creators experts in ed tech design for adults? Is the content specifically designed and developed from the start for working adults? How can they prove their content connects to your workers’ lives? Is it job- or industry-specific? By asking the above, you will have a better handle on the ability of a company to serve your adult workers if its bread-and-butter audience is K-12 or college ready. Still, the best way to increase the likelihood of your workers quickly and effectively gaining the job-focused skills they need is to select a solution purpose-built just for them. 3. What research – if any – was used in the design and development of the company’s solution? With new products increasingly popping up in this nascent ed tech field, it’s easy to get hoodwinked by a hyped-up app. It’s a good point, especially given the power of documented research to help predict a solution’s user success, as well as provide you with a greater peace of mind. After all, you want a well-tested product for your workers; not for them to be part of a de facto pilot. Did they receive third party validation from researchers and education experts at reputable universities or research centers? Was there a randomized control trial? A pilot? Any independent surveys, interviews conducted they can cite? A company that is serious about upskilling your workers should be able to answer these questions, as well as all of the others outlined earlier. And armed with answers, you’ll be able to decipher a company’s marketing from its (hopefully) meaningful results.